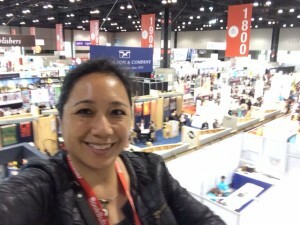 Last week was Book Expo America 2016, held at McCormick Place here in Chicago. I was so busy soaking it all in that I didn’t have time to write a proper post. 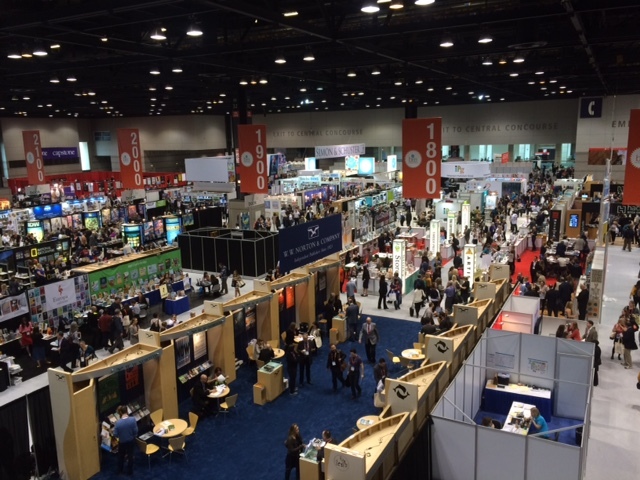 So here it is, highlights of my experience at the biggest publishing trade show in North America. This was my first BEA and I am absolutely hooked. Let’s start with the showroom floor. Imagine hundreds of bookstores sprawled across one massive building – except each “store” represents the authors of one publishing house or press. I was like a kid in a candy shop and each venue was giving out ARCs (advanced reader copies) or early versions of their fall line-up. Yummy samples for librarians, booksellers, readers, authors, and reviewers. So many book lovers in one place. The happy-vibe was contagious! I attended because as a professional writer, I wanted to understand the landscape of publishing. 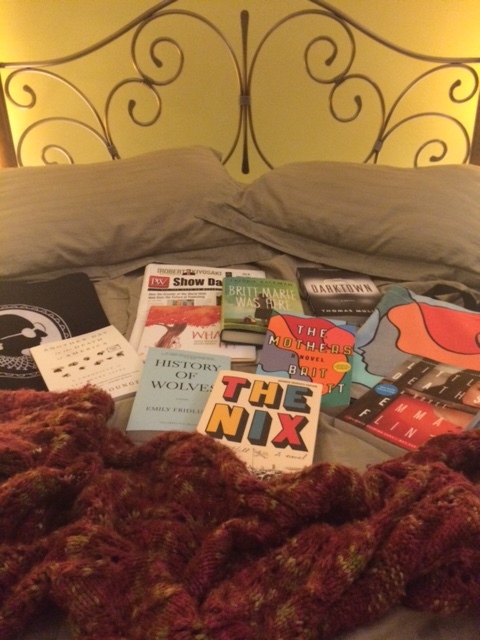 And as a reader…well, it is the land of books and book lovers. BEA did not disappoint. It was amazing to see, from a writers POV, how hard everyone works to bring their beloved books out to readers. 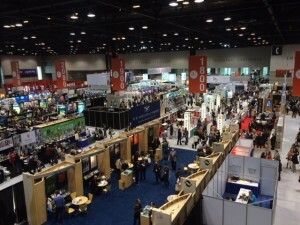 Authors, reviewers, the sales team in the booths, marketers, editors, publicists, agents, bibliophile media (Book TV, Author’s Voice), book sellers, and bloggers. When agents and editors tell us the elevator pitch is important, here’s why: Because every person I just named has to be able to describe your book in 30 seconds to a minute. Sincerely. Succinctly. And with gusto. 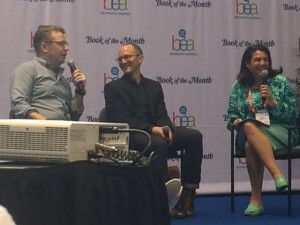 There was a great panel with authors who work closely with book groups: Fredrik Backman and Chris Cleave who are published by Simon & Schuster. Backman’s Britt-Marie Was Here and Cleave’s Everyone Brave is Forgiven are coming out in the Fall 2016. The discussion ranged from the Cubs (go Cubbies!) to readers arguing with authors about what their characters would really do (Backman dug it), to the poignant love-letters of Cleave’s grandparents. Charming. 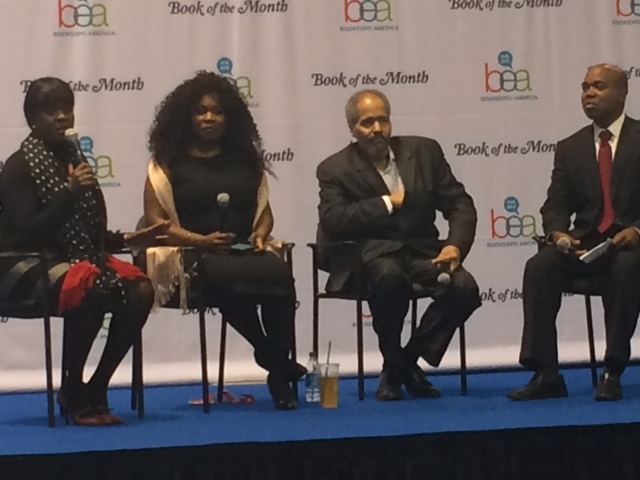 I also attended a terrific panel discussion of African American book-buying and strategies for reaching communities of color who are hungry for diverse books. 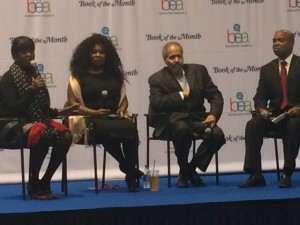 Veterans of the publishing industry were there to share their insights: Troy D. Johnson, President of The African American Literature Book Club. Ken Smikle of Target Market News. Regina Brooks, author and CEO of Serendipity Literary Agency. And Vanesse Lloyd-Sgambati, CEO of the Literary Media and Publishing Consultants. I’ll have more highlights in the next post about authors I met. But before I sign off, here’s a sample of the swag. Books, book bags, signed ARCs. Can’t wait to inhale them! 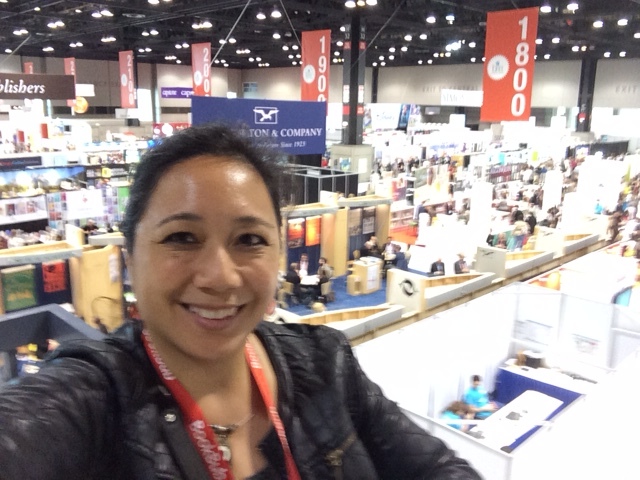 This entry was posted in Asian American Arts, Book Lovers, Writing Practice and tagged authors, BEA, books, Chris Cleave, Frederik Backman, Ken Smikle, publishing, readers, Regina Brooks, Troy D. Johnson, Vanesse Lloyd-Sgambati, writers by Mary Grace Bertulfo. Bookmark the permalink. Kid in a candy shop, indeed!